Getting the best trolling motor for your canoe or kayak can be one of the most important additions to your fishing setup. Rod holders and gearboxes help to organize the deck of your boat and make the experience more relaxing, but nothing will be as much of a game changer to how you fish as a trolling motor. So what’s the best trolling motor for your canoe or kayak? 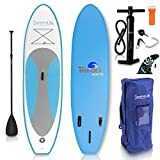 Well, my favorite is the ​ Newport Vessels Kayak Series 55 lb thrust model as it’s one of the most versatile trolling motors, providing loads of great features and plenty of thrust to keep your canoe or kayak moving throughout the day. However, you’ll need to choose the ​motor that is best for you and the conditions you’ll be fishing in. Unfortunately, many anglers forgo one for the simple reason that it’s a big investment and they don’t know how to choose one. Fortunately, I’m here to give you some insight into how to do just that and hopefully make the buying experience a little bit easier. ​If there’s a motor that can truly do it all, it might be the ​ Newport Vessels 55 lb thrust model. It has more than adequate thrust for just about any size boat but is still easy to maneuver with its very durable fiberglass shaft length of 24 inches. It also comes with a three-blade propeller that is incredibly quiet and is ideal for locations that don’t have too much vegetation, as it does have the tendency to tangle up in areas with a lot of greenery beneath the surface. However, having three blades will reduce the amount of lag time in acceleration as it moves quite a bit more water when it gets moving. Unfortunately, 55 lb of thrust does use up a battery fairly quickly so you’ll need to look for one with a least 75 if not 100 amp hour rating. There’s an easy to read LED battery indicator on the handle to let you know when it needs charging though. One of the biggest complaints with this model is that the mounting hardware that comes with it is a basic transom setup, even though these motors are designed for kayaks. 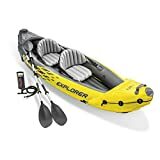 For better handling, it’s best to get a bow mounting system, which will work great on a kayak but might require a longer shaft if you’re attaching to a canoe. If you’re looking for the best trolling motor for canoes and kayaks, you can’t go wrong choosing this as your first one. 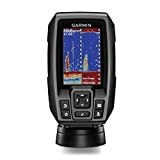 It can be used anywhere, go on any boat, and provide a reasonably good angling experience. I know, 18 lb of thrust doesn’t sound like a whole lot but hear me out as it might be just enough for your purposes even with its low power. If you’re paddling a shorter kayak or a lightweight canoe in calm conditions, this is still plenty of thrust. Additionally, since the ​ Watersnake T18 Trolling Motor has a 15 amp rating, you can use it all day without worrying about running out of juice. It also comes with saltwater protection; however, I’m not sure that it has enough thrust to be dealing with strong tides, so stick to calm estuaries if you do use it in saltwater. 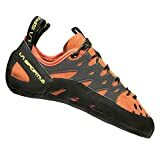 This is a fantastic budget option for kayakers and canoeists that know their limits and will use it in the kinds of places it was intended, mainly the calm waters of lakes and ponds. It should also be noted that it doesn’t have a tilt bracket to bring the motor out of the water when it’s not in use. This seems like a big oversight for a motor that’s designed for use by casual anglers that will use their paddle for at least some maneuvering. ​You know what they say: go big or go home. Nowhere is that more true than with the ​ 65 lb of thrust in the SeaMax trolling motor. You’d be hard-pressed to find a kayak or canoe that can’t be powered by this behemoth of a trolling motor and you can count on it to hold its own in rough waters and high winds. 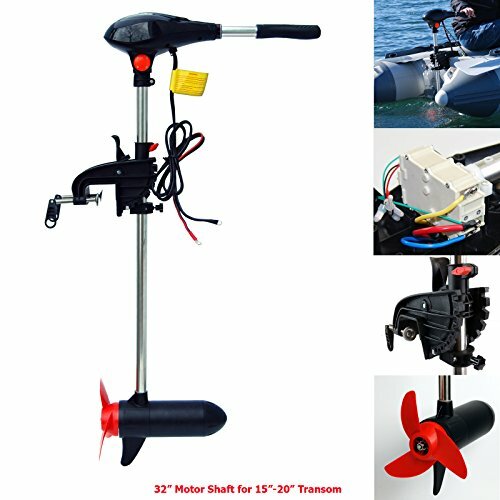 This motor also comes with an extra long 32” shaft, which can be helpful when mounting on taller canoes, but also gives it some excellent maneuverability when moving through swells. All those features come at a cost – literally. The SeaMax will probably set you back at least double what some of the other motors on this list would. If you need the kind of power that it’s offering then, by all means, go for it, but don’t choose it just to have the biggest and best motor in the bay. The motor weighs a solid 23 pounds, not including the battery, which can put some serious drag on shorter boats that aren’t really equipped for such payloads. It also drains batteries pretty quickly when used at full throttle, so you’ll not only need to purchases a very high-quality battery but also monitor the charge, which is conveniently displayed with an easy to read LED indicator on the control handle. 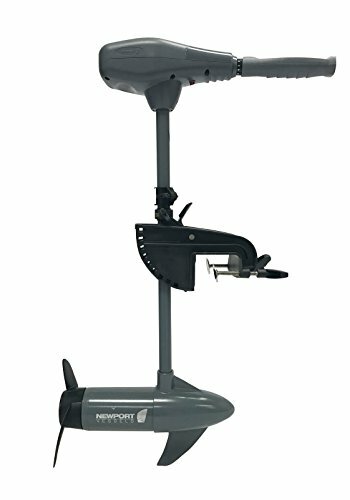 ​h​e Newport Vessels 36 lb thrust model is essentially a scaled-down version of the first ​motor I mentioned with all the same great features like saltwater protection, high-visibility battery indicator, and an easy to use control handle. However, it has a lower price point, is lighter weight, and will hold a charge longer. That being said, it’s not the best choice for larger kayaks and canoes, especially ones carrying a lot of gear. It’s also not as lightweight as you’d expect for something with 19 fewer lb of thrust. The relatively short 24” shaft will also not work well on tall canoes, as the propeller won’t be able to submerge far enough. This model also differs from its 55 lb thrust cousin in that the propeller only has two blades. That’s not necessarily a bad thing as it lets you shed riverweeds easily, but it also won’t have the same get up and go acceleration of the larger motor. Ultimately though, if you were considering the 55 lb thrust motor from Newport Vessels but weren’t sure you needed all the power, this is an excellent alternative. 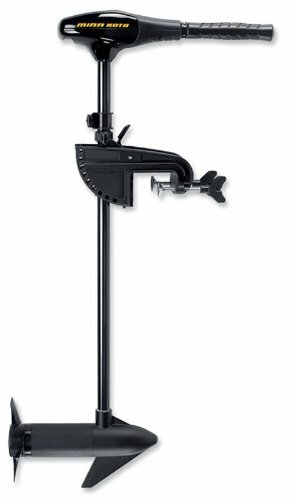 The ​ MinnKota Endura C2 30 is one of the best kayak trolling motors out there for budget-minded consumers with shorter boats. It has 30 lb of thrust, which is sufficient for most boats in calm waters but could be a problem if your favorite spot has a lot of wind. However, it does keep the engine fairly quiet and the 30” shaft is plenty long enough to keep the motor below the waterline and prevent cavitation. Additionally, the shaft is constructed from composite materials, which gives it unmatched durability, even in vegetation-filled waters. MinnKota provides a lifetime warranty for it too. 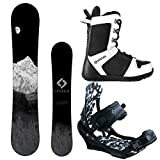 It has five forward speeds and three reverse ones, which gives fairly good control even in tight spots. At full throttle it runs at thirty amps, so be sure to get a larger battery if you’ll be using it for extended periods of time. 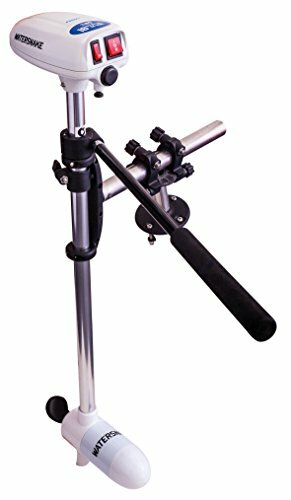 It also has a six-inch telescoping handle to position it with, which should prevent any undue strain attempting to reach it. The Endura C2 is only designed for freshwater use, which will slap some limitations on where you can use it, but if you live far from the ocean you won’t need the extra protection that would have resulted in a more costly motor. There’s a lot to consider when choosing the best trolling motor for kayaks and canoes and it can make your head spin trying to keep it all in order. Hopefully I can assuage some of your worries about purchasing one by explaining the more technical details that need to be considered. Thrust is the first thing most buyers will look at with a trolling motor, as it’s what really separates the various models into classes. For ​canoes and kayak motors you’ll find that most of them fall somewhere between 15 lb of thrust and 80 lb. Anything over that is just unnecessary for a small boat and anything less runs the risk of being underpowered in all but the most ideal conditions. Most anglers will tell you that you need about 5 lb of thrust to propel 200 pounds of boat, gear, and paddler. Using those guidelines a 10 lb thrust motor would be sufficient, but the guidelines are for flat water and don’t take into account current, wind, and any other factors that might slow your travel. As such, you usually look for a motor that has two or three times the minimum thrust needed. It’s also important to remember that the thrust isn’t an indicator of how fast the kayak will go, but rather the motor’s ability to push the boat. Heavier boats and rougher waters require bigger motors, but all of them have similar top speeds. That’s not to say that a larger motor won’t accelerate faster, but once it gets your boat up to speed you’ll travel along at the same clip as a smaller motor. Getting a trolling motor with the correct shaft length is probably the second most important consideration after thrust requirements. The most common guideline for shaft length is that you need the motor to sit twelve inches below the waterline. Choose a motor with a short shaft and the propeller will come out just below the waterline. When it revs up you’ll experience something known as cavitation, where the surface of the water gets sucked down into the blades, creating a disturbance in the water. That scares away fish and is something to be avoided. If you know you’ll be spending time in rougher waters, it’s recommended that you add fives inches to your shaft length. That’s a necessity if you’ll be taking your boat in ocean waters and you might consider going even a bit longer in that case. Most kayaks will do just fine with a 24” shaft, as the deck of a kayak is already fairly low in the water. It’s still worth measuring to ensure you get the requisite 12” below the waterline, but it’s much more of a concern with canoes, which sit higher in the water, especially when they’re not loaded down with a paddling partner and lots of gear. Canoes might do better with a 36” shaft, providing more of a buffer to keep the motor where it needs to be. Most shafts are adjustable too so you won’t be stuck with an overly long one if the situation doesn’t call for it. While there are a number of different mount types for larger fishing boats, you’ll probably only run into three of them when setting up a fishing kayak: transom, side, and bow. On a fishing boat with a relatively flat stern, a transom mount would go to the side of your engine mount. Installing a trolling motor is relatively simple with one of these mounts as you just need to attach a clamp to the hull. Kayaks aren’t quite as simple as you can’t clamp on to the boat’s pointy stern as easily. Instead, you’ll need to drill a couple of holes just like you would when installing a skag or rudder. For those that are new to customizing their kayak, this can be off-putting. Transom mounted trolling motors push the boat through the water, which doesn’t allow as precise of control as some of the other mounting systems. Your kayak is designed to work with a paddle, which actually pulls it through the water. However, transom-mounted motors are fairly intuitive to pilot with and can easily be removed for when you prefer manual propulsion. They’re usually a bit less expensive than some other mounts and will work well enough for the average angler. Side mounts are the ideal solution for kayakers that don’t want to modify their boat too much. Many of them come with a bracketing kit that slides into the cockpit or rear hatch and then expands to brace against the sides of the hull. The downside with them is that the motor gets mounted on the side of the boat rather than at one of its ends. Using one isn’t very intuitive and you’ll want to limit yourself to lower speeds in more open areas. These motors are the gold standard when it comes to trolling. Since they pull the boat through the water rather than push it, they have a more intuitive feel and can be used in closer quarters. The downside is that the mounting hardware for them is more complicated. A trolling motor’s propeller is typically interchangeable, so if you don’t like the one that comes standard with yours, it’s usually not too difficult or expensive to replace it. There are basically two types of props though: two blades and three blades. The two blade variety is the more common type as they require less battery power to get moving and are less likely to get tangled up in underwater vegetation (and its easier to remove the vegetation when it does get stuck). 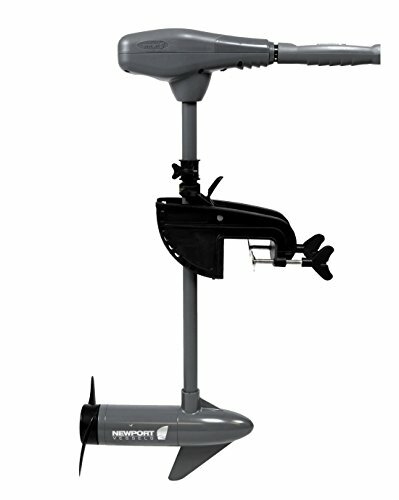 However, motors with more thrust that are designed for larger boats will sometimes come with a three-bladed propeller. Despite using more power and getting stuck more easily, they can move heavy boats more efficiently; they’re usually of a larger diameter and move more water with each rotation too. If you’re getting a motor with over 50 lb of thrust, you might consider a three-blade propeller, but two blades is still a better choice if you’re encountering a lot of vegetation. Perhaps the most important feature of a trolling motor is how easy it is to control. They don’t have steering wheels like a larger boat might, so you’ll need to get used to either a hand control directly mounted to the motor or a foot pedal inside the cockpit for directional control. Hand controls are probably the simplest setup you could go with. There’s a short stick that comes off the head of the trolling motor and you move it to the left or right to get the boat to turn. On a transom mount, this can be slightly confusing if you’re turned around, but it only takes a minute or two to figure out how it works. If you decide to go with a bow-mounted hand control system, it’s advisable to choose a motor with a telescoping grip so it can be reached comfortably. While many fishing boat and canoe users opt for a transom mount with a hand control, this isn’t really possible with a kayak. 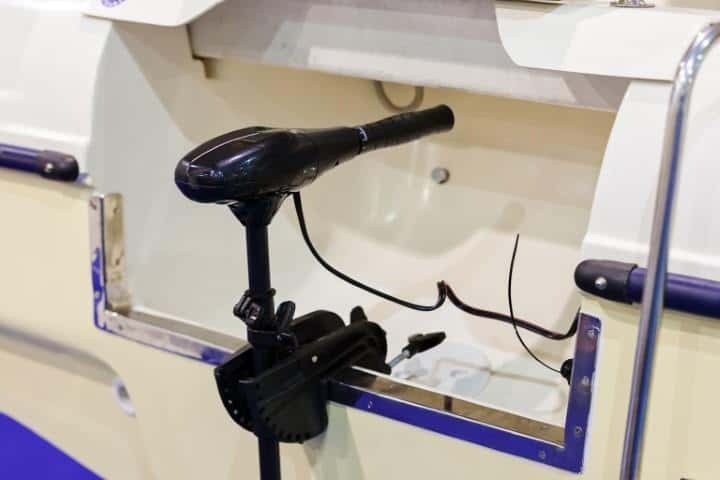 It would be near impossible to comfortably reach behind the cockpit to access a hand control on one of these, which is why most kayakers will either use a foot control for their transom motor or just opt for a bow mount. The pedal for a foot control system does require some extra installation steps, so these are bested suited for anglers that are more comfortable customizing their boat, including putting some holes in it. Using it can take some getting used to, as it’s not entirely intuitive. Most have a seesaw-type pedal where you can push down with your toe to turn right or down with your heel to turn left. Not exactly like driving a car, but it works great once you get the hang of it. Choosing the right battery is critical to having a successful outing with your trolling motor. It’s also not a simple as going to the store to a buy a couple of AAs for your TV remote; there are a number of features that should be considered to get the best battery for your trolling motor setup. While trolling motors for larger fishing boats might use one, two, or three big 12 volt batteries corresponding to 12, 24, and 36-volt motors, almost all kayak motors run on 12 volts and are limited to just one battery. However, batteries still come in a range of sizes, which are measured in amp hours. Every trolling motor has an amp rating too, and it’s possible to get a rough estimate for how many hours the battery will run before needing a recharge by dividing the batteries amp hours by the motors amp rating. Your speed, along with wind and water conditions, will cause this to vary, but’s it’s a good guideline. A better plan is to get a trolling motor with an easy to read battery gauge. One of the most important things to remember when buying a trolling motor battery is that it needs to be of the deep cycle variety. The lead-acid battery in your car is known as a starter battery, as it provides a lot of current for a very short period of time to get the engine turned over. Deep cycle batteries are the opposite, letting out a steady trickle of power over many hours. You cannot substitute one for the other. Flooded lead-acid batteries are similar to the ones found in your car, though not quite the same, as you’ll need a deep cycle version to power your trolling motor. They’re filled with a liquid electrolyte that allows electricity to flow between the lead plates. The problem with them is that the electrolyte evaporates over time, which means they require some maintenance if you want them to keep working over the long haul. All it takes is a little deionized water to keep the plates covered with liquid, but it’s necessary to check the levels every so often, especially if your motor has been sitting for an extended period of time. Rather than having a liquid freely sloshing around between the plates, the electrolyte is contained in a fiberglass matrix in these batteries. This makes them essentially maintenance-free and they don’t take up as much space as the flooded lead-acid variety. They function better in cold conditions but perform worse in the heat, so consider the temperatures you normally fish in when purchasing the battery for your trolling motor. You probably won’t run into any of these as you search for a trolling motor battery as they’re quite expensive and are mainly used by professionals. However, they provide unmatched runtime for their size, just like your cell-phone or laptop battery. In the future, their cost is expected to come down to where they will be affordable to the general public. As I said at the beginning, my pick for the best trolling motor for kayaks and canoes would be the ​ Newport Vessels Kayak Series 55 lb thrust model. 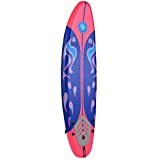 It has loads of thrust, a very maneuverable 24” shaft, easy to use controls, and saltwater protection. It can be used just about anywhere and comes with a simple to set up transom mount. For your first trolling motor, you probably won’t find anything else that’s quite as versatile as this one. It does draw more power than some of the other models reviewed though; it requires a battery with higher than average amp hours and you’ll need to keep an eye on its levels, which is easy to see on the LED indicator. Its higher price point could be deterrent to buyers, but this is an investment in quality that will last for many years. There are other motors that might be more suitable for specific conditions, but overall I think this one is the best all-around choice.